Healthcare is among the top three industries that suffer from high turnover rates. At 13.5%, Healthcare’s turnover rate is just a few points behind Banking (13.3%), and Hospitality (20.2%). It is easy to dismiss these numbers by rationalizing that it is normal for an industry comprising of high-stress level jobs to see fast turnover. However, if we scratch beyond the surface, the bigger picture poses a distressing reality to all pertinent stakeholders, from patients/external customers to healthcare professionals/internal customers. Among the professions under the Healthcare umbrella, nurses are the most susceptible to quick turnovers. Studies show that 43%, 33.5%, and 17.5% of newly-licensed nurses leave their first jobs within 3, 2, and 1 year/s of employment, respectively. There are many contributors to this phenomenon. Some of the usual suspects include difficulty of mental and physical labor, short staffing, and crazy hours. Nurses’ quick turnover has an array of consequences. In terms of monetary costs, nurse turnover is estimated between 36,000 to 57,000, and could amount to a hospital losing between $4.9 to $7.6 million dollars. Each percent change in RN turnover costs/saves the average hospital $379,500. Some effects are more insidious. Take for example the increased fatigue that will fall upon the remaining undermanned staff after a recent turnover. This fatigue leads to decreased team morale, which, of course, reflects in on-floor performance. There are ways to deal with the aforementioned numbers. 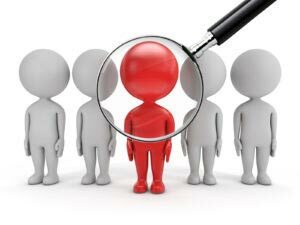 First and foremost, pre-employment should be done with utmost efficiency: ensure candidates are properly screened for medicaid and OIG exclusions, as well as accurately gauged in terms of motivation, mental strength and acuity, work ethics, and communication skills and empathy. Also, workspace should be solidified and should encourage teamwork and camaraderie. And lastly, to further ensure retention, organizations should offer competitive salaries and benefits, performance-based incentives, and even profit/gain sharing if applicable, among other things. It is imperative that we understand and value the bulk and essence of the kind of work and responsibility assigned to our healthcare workers, especially the nurses. These professionals are the ones who rush to our defense when our mortality hangs on the brink, when we are dangerously tethered to the edge of our impermanence. It is only fitting that we do the best in our power and resources to let them live dignified, meaningful, and abundant lives. After all, happy nurses means happy patients.